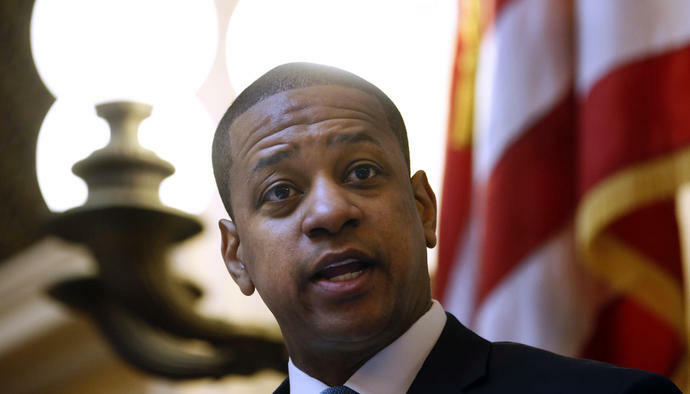 RICHMOND, Va. (AP) - The clamor for the resignation of Virginia's top two politicians seemed to die down Monday, with some black community leaders forgiving Gov. Ralph Northam over the blackface furor and calling for a fair hearing for Lt. Gov. Justin Fairfax on the sexual assault allegations against him. "The sort of irony that makes your head spin is that Herring and Northam are in trouble for behavior related to Virginia's racial past. And yet it may be the only African American statewide officeholder who, at the end of the day, gets in trouble," Quentin Kidd, a political science professor at Virginia's Christopher Newport University. "This may get worse and more uncomfortable before it gets better - if it does get better."